Billboards have gone up in Texas, New Mexico, Arizona, Nevada and California as a nation-wide search continues for 56-year-old Lois Riess accused of killing her husband and a woman on Fort Myers beach. Riess and her alleged victim, Pamela Hutchinson looked alike, a fatal coincidence for Hutchinson. She was later found shot to death in her condo. Detectives say Riess murdered her, then stole her white Acura, credit cards and her identity. Riess is also suspected in her husband’s shooting death in Minnesota in late March. David Riess was found murdered in the couple’s home. Riess is believed to still be driving Hutchinson’s white Acura TL with a Florida license plate Y37TAA. “It’s just evil that flowed through. Because how can you go around killing people for no other good reason other than to keep yourself out of prison,” said Danielle Jeffreys, Hutchinson’s cousin. The U.S. Marshal Service is now offering a reward of up to $5,000 for information leading to the arrest of 56-year-old Lois Reiss. Florida Crime Stoppers is also offering a reward of up to $1,000. Anyone with information is asked to call 911 or Crime Stoppers at 1-800-780-TIPS. Riess withdrew $11,000 after allegedly killing her husband in Minnesota. April 5-6: Pamela Hutchinson was killed in her Fort Myers Beach condo. 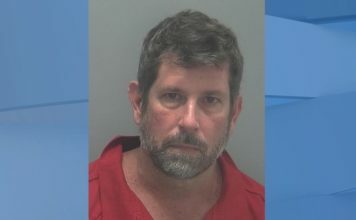 April 6: Riess walked inside a Wells Fargo Bank on Fort Myers Beach and withdrew $5,000 from Hutchinson’s account face to face with a teller, providing Hutchinson’s ID and credit card. April 6-7: Riess checked into a Hilton in Ocala using Pamela’s ID, credit card, and signed her name. Stayed one night, left the next day. April 7: Went to a bank in Ocala, withdrew $500 from Hutchinson’s account. April 8: Hutchinson’s car spotted in Louisiana. Riess tried to get cash out at gas station – attempted to make a purchase and get $200, but transaction was declined. April 8: Hutchinson’s car spotted driving through Refugio, Texas. 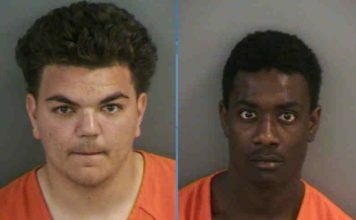 April 9: Lee County sheriff’s deputies called to a suspicious vehicle. Reiss’ Escalade found abandoned at Bowditch Point Park on Fort Myers Beach. Car registration records linked it to a match to someone wanted in Minnesota. HOURS later: LCSO called to Marina Village for death investigation, found Pamela’s body.